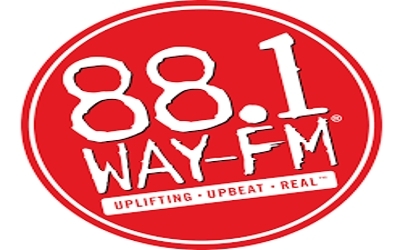 88.1 Way FM is one of the renowned online based radio stations broadcasting from Huntsville, Alabama, USA and provides Christian Education, Talk, and Christian Rock music. Besides its musical programs this radio station also organize many other programs intermittently. It is one of the most popular radio stations in this country among the people of all ages. This radio station is a national, non-profit radio broadcasting network in the United States, mainly playing Contemporary Christian music. To get more information just visit, 88.1 Way FM official Website: www.wayfm.com. 88.1 Way FM’s Mission is to persuade this age group to love and follow Jesus through ethnically relevant media. This radio station is based in Colorado, content creation and programming originates in Franklin, Tennessee and operates stations in 12 states (as of May 2018). WAY Media, Inc. has been in existence since 1987. The non-profit corporation began as a single FM radio station in Fort Myers, Florida. In the early 1980s, Bob and Felice Augsburg were residing in Fort Myers, where Bob was working as the Program Director at WSOR, a Christian Radio Station formatted for older adults. Much discussion with local parents and business people led to a non-profit Florida corporation and an application filed with the Federal Communications Commission (FCC) for an unused FM frequency. On Christmas Eve (December 24) 1986, the group received its permit for the construction of a new non-commercial FM station in Fort Myers, WAYJ. On October 9, 1987, WAYJ, broadcasting as “WAY-FM”, signed on the air. By 1992, three WAY-FM radio stations were on the air—including Fort Myers; Nashville, Tennessee (WAYM); and West Palm Beach, Florida (WAYF). In the mid-90s, WAY-FM stations, beginning with WAYF, began to sponsor and organize large Christian music concerts and day-long music festivals. After several years of planning, in 1996, WAY-FM began the Christian Hit Radio Satellite Network (CHRSN). 88.1 Way FM online radio station plays popular artists music with various Christian and talk shows around the clock 24 hours live online. 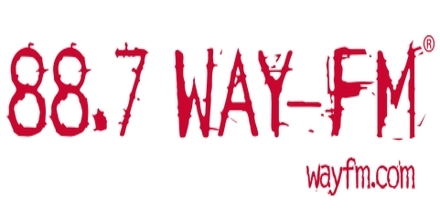 WAY-FM is a family of listener-supported radio stations based in Colorado Springs, CO. You’ll hear inspiring music and you’ll indisputably laugh with The Wally Show, The Brant Hansen Show, and CJ & Joy. We promise to be real – we won’t sugar-coat the hard stuff in life. On-Air Number: (Call or Text) 855-33-WAY-FM (855-339-2936). Liveonlineradio.net has 88.1 Way FM in its listings. Just click and enjoy. 88.1 Way FM – www.liveonlineradio.net/alabama/88-1-way-fm.